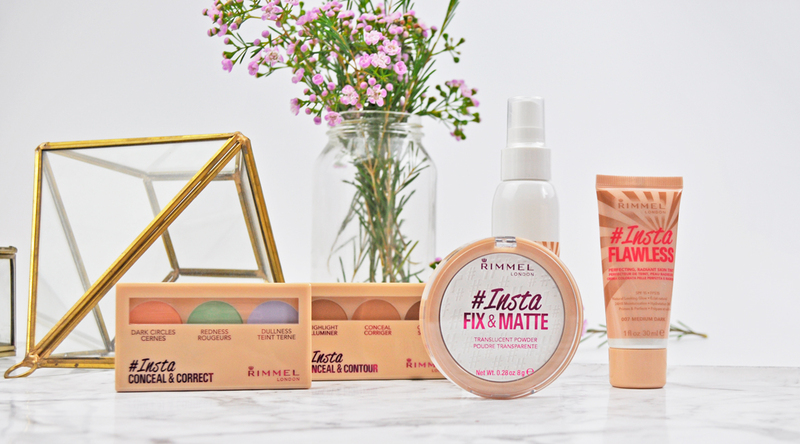 Rimmel London launched a new series of products which are designed to help give us selfie lovers out there, the picture perfect finish we often strive for. Forget about photoshop and Instagram filters, now every side can be your good side when taking a selfie thanks to their New #Insta Collection. Their product range is fun, edgy and affordable. As some of you may know, Rimmel is one of my favourite cosmetic brands so when these products arrived at my desk a few weeks ago I was #Insta in love with them. Let’s start with the Insta Conceal and Correct Palette. Each shade is creamy and pigmented, I like to apply it using my fingers to warm up the product as it allows it to blend easily. The peach shade neutralizes dark circles and illuminates face features. The green shade covers blemishes and redness on the skin, and the lilac shade mutes yellow undertones to correct a dull and sallow complexion. Adresses the different skin tones & imperfections you want to conceal for a naturally flawless complexion. Next up is the Insta Concealer and Contour palette which contains three natural shades to highlight, conceal and contour the face and accentuate its features. The formula is creamy, buildable and blends perfectly over foundation. Available in 3 shades: Light, medium, and dark. Camouflages the different tones on your face and allows you to sculpt the angles, creating a naturally flawless complexion and defined features. Moving on to the Insta Fix and Matte Powder. This micro-fine translucent powder is suitable for all skin tones and is designed to fix and set foundation and mattify the skin. I have found it helps to control shine as well as minimise the appearance of my pores. Goodbye oily t-zone! Insta Flawless tinted primer helps to perfect & brighten skin tone. It glides on effortlessly and blends out to a radiant finish. The lightweight formula leaves skin hydrated and can be worn alone or under makeup. Love the product, love the name! Love that it has SPF 15. Lastly the Insta Fix & Go is a refreshing dual purpose spray. It has a nice fine mist which can be applied underneath makeup or on top as a setting spray to lock it all into place. It smells amazing and has a quick-drying oil-free formula which leaves my skin looking fresh all day. Our first 2 in 1 Makeup Primer & Setting Spray that can be applied underneath or over the top of your makeup. It dries quickly with just one application & locks your makeup into place, without it feeling dry or tight, for all day staying power. Price (AUD) Insta Conceal and Correct | RRP $18.95 – Insta Concealer and Contour | RRP $18.95 – Insta Fix and Matte Powder | RRP $13.95 – Insta Flawless | RRP $13.95 – Insta Fix & Go | RRP $13.95 | Available at Priceline Pharmacy, Chemist Warehouse, Target, Kmart, Big W, selected pharmacies, Coles and Woolworths. Have you tried anything from the Insta range yet? What are your favourite Rimmel products? This is a nice collection. Thank you f or the detailed review, i would love to try the Insta flawless tinted primer. I am loving the peach shade in the Insta Conceal and Correct palette for my dark circles! This is such a cool collection from Rimmel. I got all this too! AND LOVE IT!! I was sent this collection too and I’m really enjoying it! The tinted moisturiser was a firm fave of mine already! These look like interesting products! Haven’t used Rimmel cosmetics before but the Insta Fix and Matte Powder sounds good! Such an amazing range! I love the correct and conceal palette, really helps to colour correct and balance out my skin! Never use any of these but you make me want to! Love the packaging of Insta Fix and Matte Powder! My favourite from this collection is the #Insta Conceal and Correct palette! I love the Insta Flawless Tinted BB Cream, just wish it was darker. Also I’m so keen to try the priming and setting spray! The Insta Fix & Go looks like a great multi-purpose product. It’s great that the drugstore is offering specialty products like these! I finally picked up the setting spray! I’m in love with setting spray and i’ve discovered quite a few affordable ones that work so well, this being one of them as its been raved about! That colour corrector kit sounds awesome as well! and I am the second!!!!! hehehehe London has been my dream for 3 years, and I am finally going next year in June/July – over the mooooooonnnnn!!!!!!! I cannot wait to do things like Fortnum and Mason, Harrods, get a photo at Buckingham Palace, do more shopping, go to bookstores, theatre, shopping – wait did I say that already? and most importantly visit the royal residences, like Kensington Palace, Windsor Castle, and I want to do state room tours of Buckingham Palace, Chelsea Flower Show is in May so I will miss that, but might be there in time for Trooping the colour!!!! eeeeeeeeee!!!!!!! plus I LOVE watching Ladies of London! haha! i love caroline stanbury, and follow juliet angus’s blog, and then I follow Rosie Fortsecue’s blog from Made in Chelsea, and then I recently had Emma Miller like my photos on Instagram – I love following her on IG haha!!!!! I love the process of planning!!!!! My favourite book is the UNDOMESTIC goddess, so anything based in London I love! Sophie Kinsella is my favourite writer. ❤️🇬🇧 if I had to meet anyone apart from royalty it would be her!!!! I’m reading the shopaholics series now. Correction when I get Time I read … and OMG, I love her books. I’m going to have o try the Insta matte powder! I’m always looking for a good drugstore powder! Thanks for the amazing reviews! 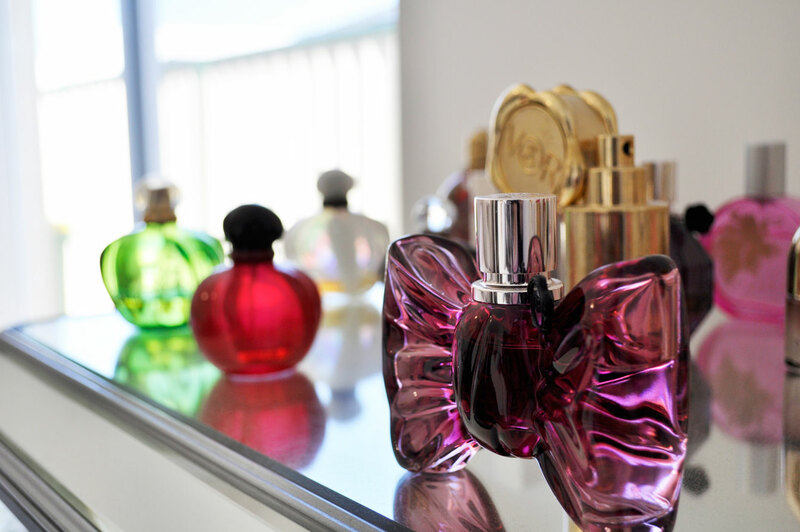 Omg I want them all! I was looking for a good setting spray! WOW!!!! You have 90 bloggers that like this piece!!!!! WOWWW you are amazing!!!!! !